Kochi, also known as Cochin, is a major port city in the south-west state of Kerala of India. Cochin is also the largest urban agglomeration in Kerala. It's the commercial capital of Kerala. Like the whole of India, Cochin is making great progress in the field of information technology. 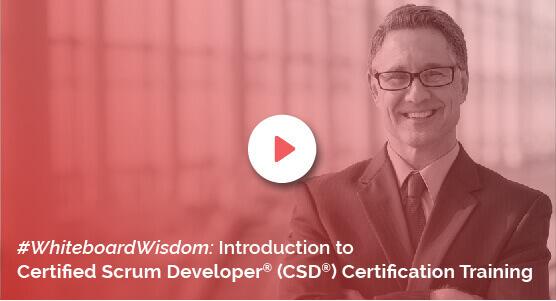 To match the pace of the fast-moving world, young aspirants need to enrol themselves for a course that helps career progression in product development which is why KnowledgeHut is offering the CSD certification in Cochin. Certified Scrum Developer certification in Cochin is an exclusive course that will help you understand the fundamentals of Scrum principles. The workshop is led by expert tutors who will begin the coaching with the basics, including scrum roles, artefacts and ceremonies. There will also be various practice sessions and lectures that cover the theoretical as well as the practical parts like BDD, acceptance test driven development and solid design principles, to name a few. Post the completion of the CSD course in Cochin, the aspirant who enrolled would have the credentials of the technical assessment of Scrum principles. The academy will help set standards and help participants learn some of the best practices for a quick creation of quality software. KnowledgeHut is a registered education provider with a qualified faculty having served more than 1,500 organizations across the globe and train countless individuals. The tutors who deliver for CSD training in Cochin are highly skilled Scrum Alliance certified trainers. Registering for the Certified Scrum Developer training in Cochin is extremely easy and good quality training materials are provided at a very fair cost.